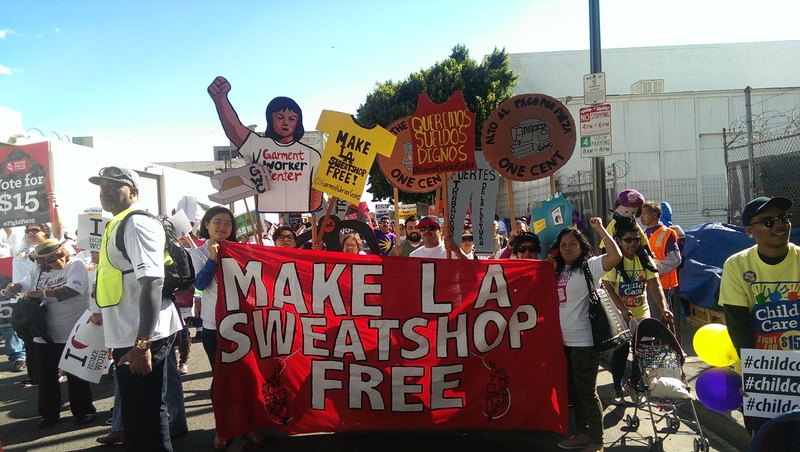 To address the egregious conditions in the LA garment industry, the Garment Worker Center launched its MAKE LA SWEATFREE platform. Garment workers must have a say in their working conditions and wages by having the right to negotiate directly with employers and the brands that profit from their work. 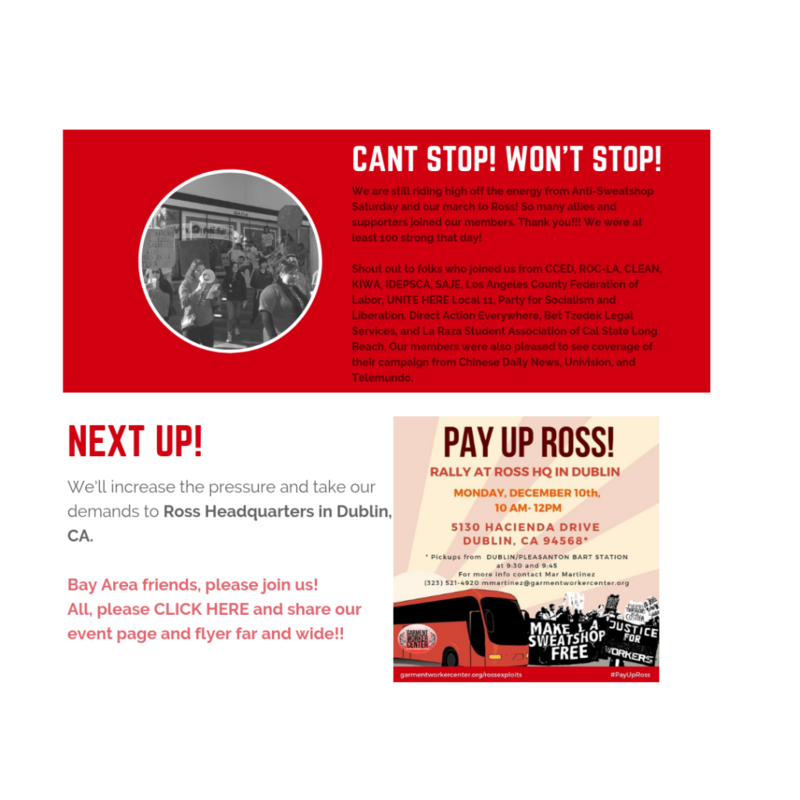 An end to wage theft caused by abuse of the piece rate system and rest and meal violations. 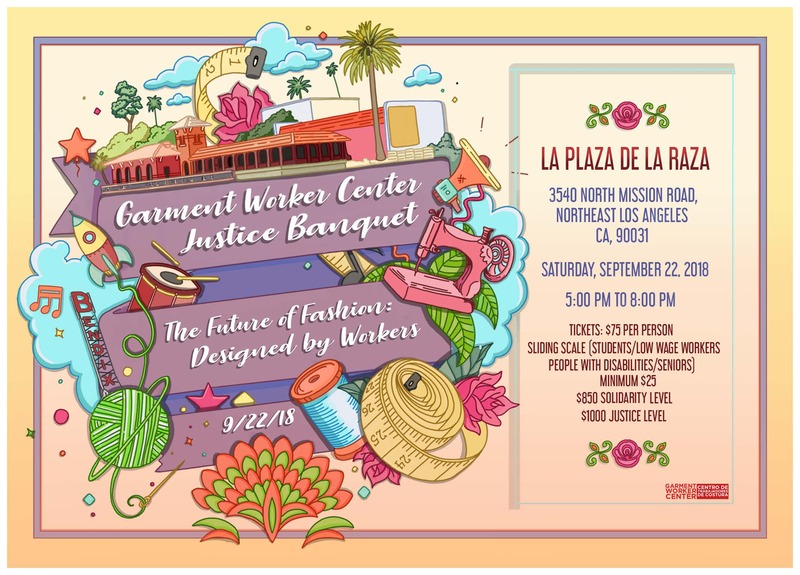 Clarification of AB 633 garment legislation to hold big labels and retailers responsible for wage and hour violations on the sweatshop floor. Better indoor health standards that protect workers from dust pollution and heat. Clean and safe workplaces where workers have a right to medical assistance when needed. Dignity and respect in the workplace, including the right to collectively bargain for better pay and working conditions, protections for victims of workplace violence, sexual harassment, and discrimination. Brands and retailers pay a just price per piece for the garments they buy so that living wages and good working conditions are possible. Access to quality affordable childcare for garment worker parents. Brands and retailers must make a commitment to make LA sweatshop free. Independent monitoring committees that are held accountable to the workers. Protections against retaliation when speaking up about a violation or simply speaking the truth. Garment Worker Center members believe these ten points can improve working conditions in the garment industry and give workers the tools to fight sweatshop conditions. Our campaigns and programmatic work are based upon these principles.